WHEN: July 9, 2018 Check-in: 2:00 PM. Check out 8:30 PM. Learning what college coaches are looking for when they attend summer recruiting tournaments. The camp is restricted in size (56 slots), to provide the best instructional opportunity and to give each player a fair opportunity to compete. Goalies - 4 slots available. Face-off Specialists · 6 slots available. Close Defense ·14 slots available. LSM - 6 slots available. Attack - 10 slots available. Midfield - 16 slots available. 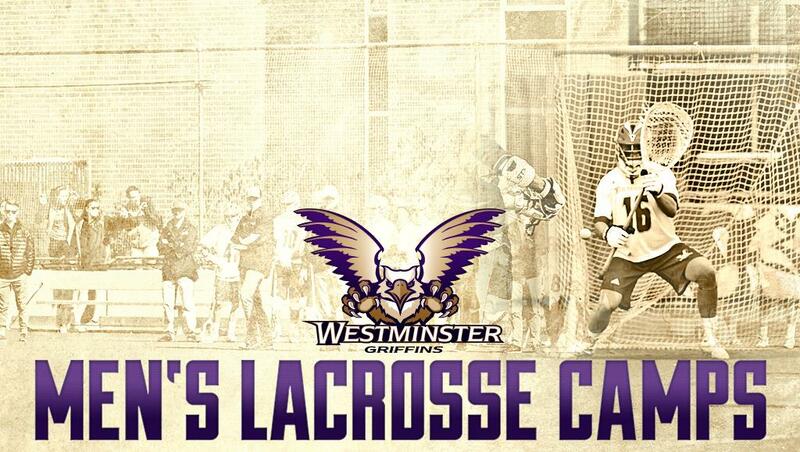 HOW: Registration information can be found at https://camps.jumpforward.com/westminstergriffinsmlax Registration goes live January 2nd 2018. *This camp is open to any and all entrants (limited only by number, age, grade level and gender). HOTELS: Click Here for the Westminster partner hotels (pages 20-21). Ask for the Westminster Griffin rate. Transportation: Commercial Shuttle services, taxi service, UBER and LYFT all available for $12-$20 one way. Check with partner hotels on their service to/from the airport & Westminster College.